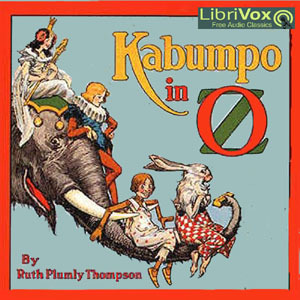 Listen to "Kabumpo in Oz" on your iOS and Android device. Dear children: Do you like Elephants? Do you believe in Giants? And do you love all the jolly people of the Wonderful Land of Oz? Well then you'll want to hear about the latest happenings in that delightful Kingdom. All are set forth in true Oz fashion in "Kabumpo in Oz," the sixteenth Oz book. Kabumpo is an Elegant Elephant. He is very old and wise, and has a kindly heart, as have all the Oz folks.